George Quinn is a 90% retired academic living in Canberra, Australia, with his wife, Emmy. They have one son, Andrew, who lives in Perth with his wife Francene and their two small children Matthew and Samuel. George is currently Honorary Professor in the College of Asia and the Pacific at the Australian National University. His main publications are The Novel in Javanese (1992) and The Learners Dictionary of Today’s Indonesian (2001). You can read some of his shorter research papers and newspaper op-ed pieces at: https://anu-au.academia.edu/GeorgeQuinn. He is currently completing a book on sacred sites and local pilgrimage in Java and Madura to be titled Bandit Saints of Java. He is also working on an English translation of the Javanese-language novel Ibu (1980) by Poerwadhie Atmodihardjo, and is completing a textbook for the study of Javanese by English-speaking learners to be titled Sri Ngilang. For a YouTube preview go to: www.youtube.com/watch?v=uTL6BMG8JZ0 . 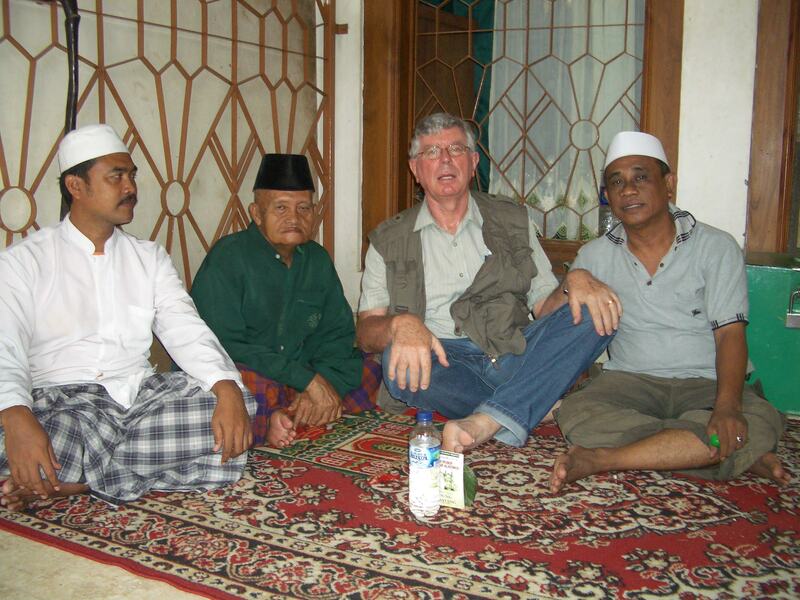 George Quinn with friends at the Luar Batang mosque in Jakarta, Indonesia.